Do you have a full basement in your Aurora, CO home? Do you plan on finishing or renovating your basement soon? If you do, don’t overlook the possibilities with your concrete floor. Many homeowners think they need to find a flooring solution to cover their concrete when in actuality, you can enhance your basement concrete flooring into something beautiful and very suitable for the application. 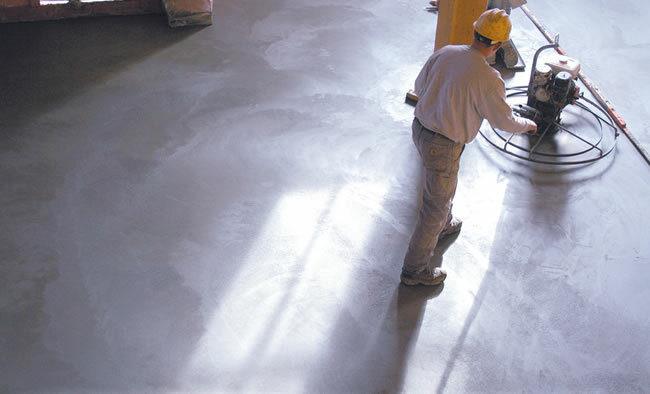 Concrete floors look great when finished properly, they are easy to maintain, and even easier to maintain. Better yet, they cannot be damaged, by moving furniture, pets, kids, or normal wear and tear. They are virtually indestructible! 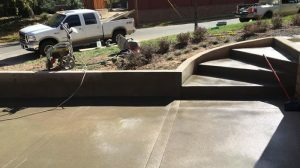 Quality Contracting LLC is a custom concrete contractor based out of Aurora, Colorado. We specialize in working with homeowners who are either building a new home, or about to finish a basement. We offer several concrete enhancement services for basement concrete floors, from break-out and replacement of an old floor to resurfacing to building a new basement floor into your new construction project. 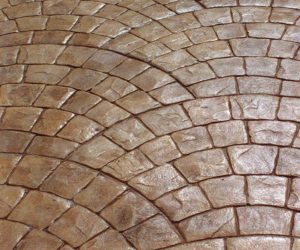 With a variety of methods and products available to us we can make your concrete basement floors smooth or textured with a variety of patterns such as brick, or stone/slate or even wood grain if that is your thing. Using special concrete stains we can change the color as well so your flooring can still be an integral part of your interior decor. Concrete flooring in your basement is very easy to clean when the right concrete surfacing techniques were used in it’s construction and it’s also impervious to water damage, impact damage and other staining. These properties can be enhanced further with the right concrete coatings. When you use utilize concrete for your flooring in your home or basement you are making an environmentally sound choice. First off your foundation now acts at the final flooring layer, saving you money, and saving building material, and also improving indoor air quality as carpets (the most common basement floor covering) are known to trap allergens. Laminate and hardwood flooring is generally not suitable for basements that are below grade for moisture reasons and can be very expensive to replace if your basement is prone to flooding or moisture. 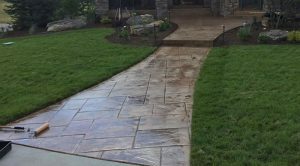 Decorative concrete flooring will look great, save you money on flooring material replacements in the future and will stand up to the abuse of any residential application. Quality Contracting provides homeowners with many different options for the concrete flooring in their basement. If you are curious about the costs, or would like to learn about the many different color and style options we have available for concrete basement floors please give us a call or click the button below and be taken to our estimate form.